Guyer, then Gregory followed Mulkey's lead. Partway up, the hanging pillar collapsed under Gregory's weight, stripping him of his tools. Luckily, no one was beneath the climb and Mulkey and Guyer were able to lower a tool down to Gregory. 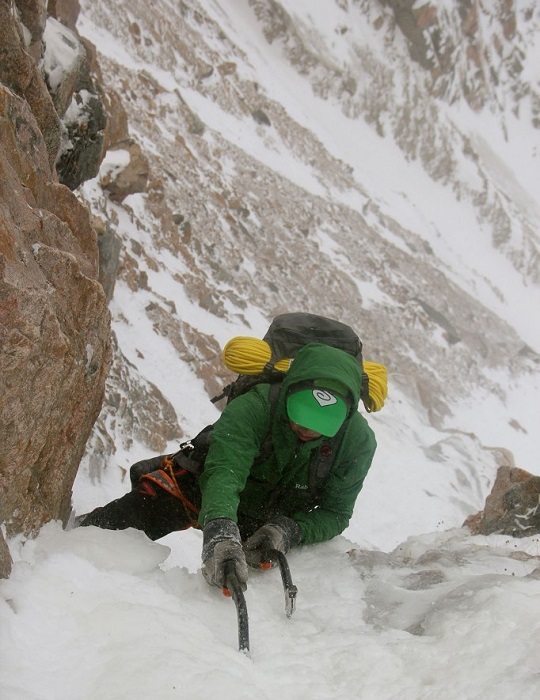 Because of the climb's location and its dastardly nature, the team decided upon the name Wyoming Outlaw. When asked to comment on the grade of the first ascent, Mulkey responded, "I hate giving things grades, but it was something like WI5 M-thought provoking."